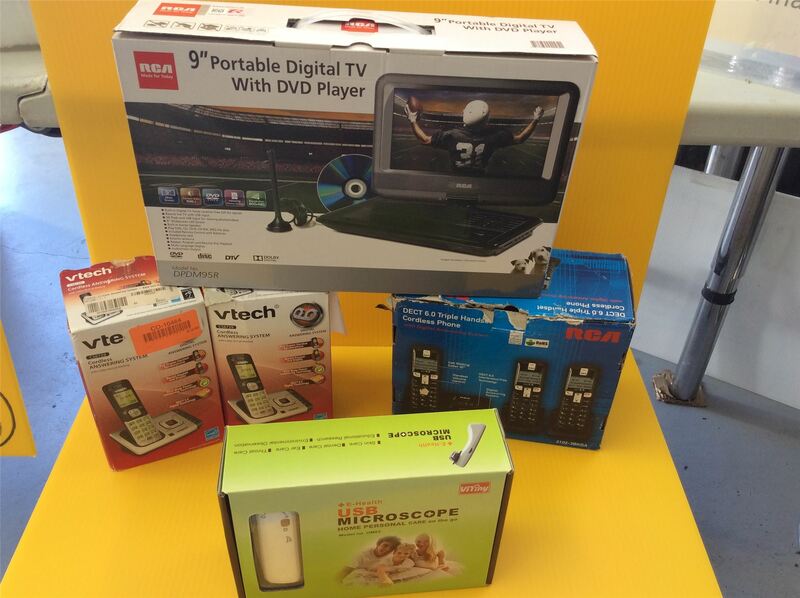 The items are a mixture of New, Over stock, Open Box, Returns, Refurbished Items, ext. THESE ARE NOT ALL BRAND NEW ITEMS. You are purchasing a wholesale mini lot of assorted electronics. This lot contains 6 Pieces. The lot is a mixture of different brands,styles, and models. These item have been tested to make sure they power on, That is however the extent of the testing. Click the button below to add the Wholesale Lot of Assorted Electronics, Lot of 6 Pieces, Stereo, Phones, TESTED to your wish list.